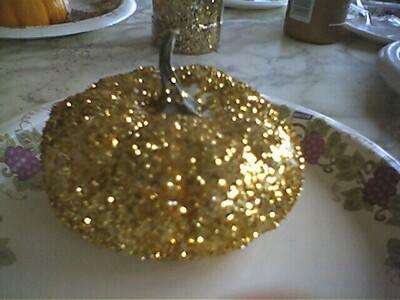 Dena and Elizabeth covered this pumpkin with glitter. If they grow pumpkins in Las Vegas, I bet this is what they look like. Tell Dena she would make Martha Stewart SO proud!!!! Did ya handle it by the stem? Martha said it's a nono but, she KEPT DOING IT!